The federal Department of Labor and state agencies regulate many aspects of employment, ranging from overtime and child labor to the minimum wage and recordkeeping. These laws are often very complicated. In order to avoid legal problems, you should consult with an attorney with experience in business planning and employment law. The Fair Labor Standards Act (FLSA) sets many of the standards employers must meet, including minimum wage law and child labor laws. The FLSA does not apply to ever type of employee and an experienced business and employment law attorney will ensure you are meeting all of the necessary requirements. 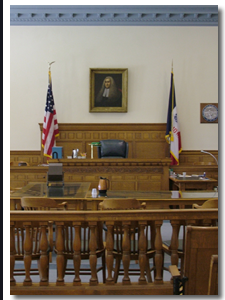 Contact an Iowa corporate / business lawyer representing clients in Hampton, Iowa today to schedule your initial consultation. Keep in mind that state and local laws may have much stricter requirements. In addition, there are a number of other federal laws governing employment. The Family Medical Leave Act (FMLA) allows some employees the right to take 12 weeks of unpaid leave to attend to family or medical matters. Military personnel are granted some job-related rights and protections. The Employee Retirement Income Security Act (ERISA) mandates certain requirements for the administration of pension plans. The issue of employee pay is very complex, and the number of state and federal regulations governing the issue make it vital for any business owner to have the advice of an experienced attorney.